October is my favorite month to visit Clearwater Beach, Florida! 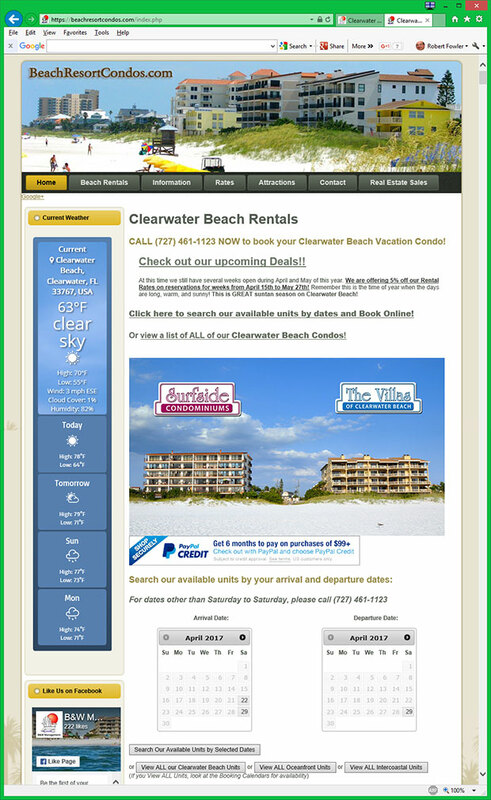 October in Clearwater Beach is full of fun events and beautiful weather! I love sitting outside, listening to live music and enjoying some great seafood at the Stone Crab Festivals and the Jazz Holiday events. All the outdoor events throughout the year are fun, but combine them with the perfect October weather and they are perfect! The Clearwater Beach weather in October typical has 80° highs and 71° lows with only 3 days in the entire month seeing rain. It’s absolutely beautiful! The beginning of October this year appears to be a little bit warmer with a slightly higher chance or rain, but still matching weather in the 80°s during the day and dropping into the 70°s later in the month. Come join the party and enjoy Jazz music and culture in Coachman Park (downtown Clearwater). Hear live music from multiple artists each night including headliners; George Thorogood and The Destroyers, Morris Day & The Time, The Doobie Brothers and JJ Grey & Mofro! Have some fun and enjoy some delicious food at the Stone Crab parties! Clearwater, Florida is hosting the 2018 Kona Windsurfing World Championships from October 26 through October 31!